The Delem retrofit solution is based on the current DAonWindows system. This user-friendly system, with its self-learning databases and graphical programming facilities that include automatic bend sequence calculation and collision detection, makes controlling press brakes easier and more versatile then ever. 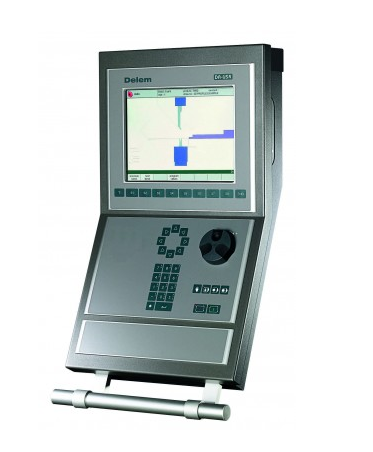 Housed in a tough and sturdy cabinet, the control continues to use Delem’s familiar user interface, which is displayed on the standard color LCD (TFT) screen. Windows® networking allows easy integration with your production network so that the controller can be accessed from anywhere in the network and product data can be stored at the desired network locations. Analysis Tool and Remote Diagnostics functions let you analyze machine behaviour and vital parameters at any time.